Failed Smog Check? Don't have money to repair your vehicle? You may be qualified to receive up to $1500 in assistance from California ! - The Vehicle Buy Back Program buys used vehicles from CA motorists. The program offers a flat $1500 to low income applicants, and $1000 to above income vehicle owners. - Your vehicle must have failed a recent smog check in order to be eligible for the Buy Back Program. Your vehicle must not have a tampered emission system(s), and the smog check failure must not be due solely to an ignition timing adjustment failure or gas cap functional test. To see the list of Eligibility Requirements click here. 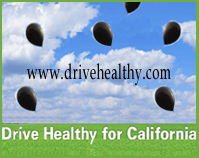 - Not all vehicles will qualify for California vehicle retirement program. Please read the requirements carefully. - The goal of the vehicle buy back program is to encourage the removal of older vehicles from California in order to replace them with newer less polluting transportation, in the forms of cleaner emission -vehicles, electric cars, bike lanes, and mass transit. - You must first obtain and mail in a CAP application to the Bureau of Automotive Repairs. Upon receiving approval you will be directed to a CAP authorized dismantler to turn in your vehicle and receive payment. - Contact the California State Bureau of Automotive Repairs at (866) 272-9642 to have an application mailed to you or download a CAP Application here. Must Be Running - In order to qualify for the State'svehicle buy back program your vehicle must be in running condition and able to be driven to an approved dismantler. Must Have Valid Registration - Vehicle registration can not be expired and it can not have been in non-operational status for more than 60 days during the 24 month period prior to the date of CAP application. Must Have CA Title - The vehicle must be registered to you (you must have a title issued in your name) and can not be undergoing an initial registration in California.